For hundreds of years, this gaseous giant planet appeared shrouded in colorful bands of clouds extending from dusk to dawn, referred to as zones and belts. The bands were thought to be an expression of Jovian weather, related to winds blowing eastward and westward at different speeds. This animation illustrates a recent discovery by Juno that demonstrates these east-west flows, also known as jet-streams penetrate deep into the planet's atmosphere, to a depth of about 1,900 miles (3,000 kilometers). 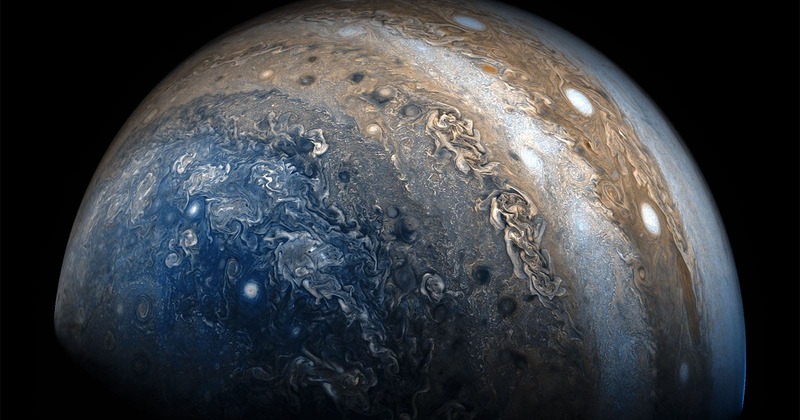 "Prior to Juno we did not know what the weather was like near Jupiter's poles. 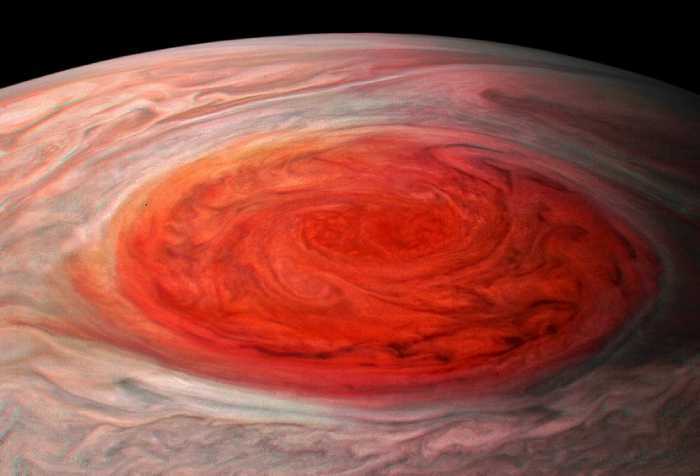 Now, we have been able to observe the polar weather up-close every two months," said Alberto Adriani, Juno co-investigator from the Institute for Space Astrophysics and Planetology, Rome, and lead author of the paper. "Each one of the northern cyclones is almost as wide as the distance between Naples, Italy and New York City — and the southern ones are even larger than that. They have very violent winds, reaching, in some cases, speeds as great as 220 mph (350 kph). Finally, and perhaps most remarkably, they are very close together and enduring. There is nothing else like it that we know of in the solar system."